We all struggle with weight, whether losing or gaining, and the society for which we live today does not help with our struggles. You cannot drive a city block or watch a 30 minute TV program without being provoked to consume fast food, which leads me to our sedentary lifestyle. Most of us spend more than 4 hours a day staring at a screen, whether it be computers at work, our phones, tablets, or televisions. Most of which is done in the sitting position, which if you have not heard the latest medical reports, sitting is the new cancer. 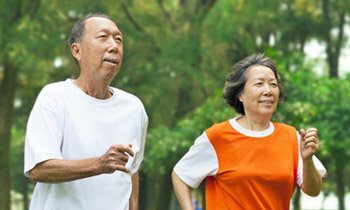 Dedicating yourself and your loved ones to exercising and moving on a consistent basis is so important to your health. We are all busy with our daily tasks, however if we just devoted at least thirty minutes to exercise or walking, any type of movement that promotes muscle movement and blood circulation. I have trained people of all ages and can tell you just because you are aging, does not mean you have to be inactive and allow ourselves to become 'old'. Age is a number and does not represent how we feel. If you take care of your body with consistent exercise and movement, you will reap the benefits of a lifetime!